Use our drum machine to create beats and full tracks. Mix high-quality sounds, play with all your fingers at once and be a beat maker as you always dreamed of. Impress everyone by your beat making skills with drum pad machine! All sounds in our drum pad kit are recorded by a professional team of beat makers. 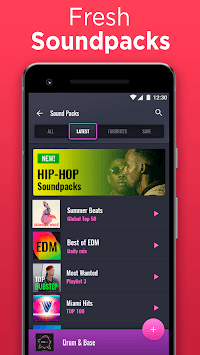 So make sure that with our edm music maker app you can be a beat maker with pro skills. Make beats and music by a few taps. Our beat maker app interface doesn’t distract you from the process. Also you can customize the trap drum pads as you want. Virtual drum pad has a huge collection of soundpacks. So, you can create thousands of sound effects with this beatpad! Choose among electro, hip hop and soon among funk, EDM and freestyle. Our beat maker free has a big choice of sound packs of many popular genres. Mix finger drums in two-three styles by navigating the beat making app menu. The beat making app has a multitouch. So, using drum pad free, every music beats maker can create beats without any stuttering and interruptions. Drum machine allows to make tracks from different sounds. 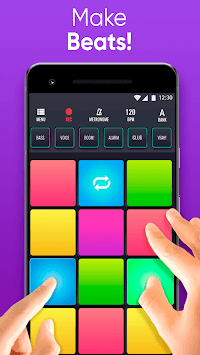 Make beats on phone, discover new combinations and create the best drum pad set! Make music and dj beats maker and now want to share it with your friends? 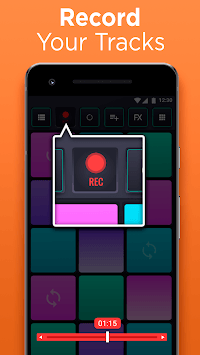 Soon our drum pad app will allow to make beats and record them. How to make beats on the online beat maker? Constant practice, our drum pad machine free on your device and you’re already the best edm maker! Drum machine free is set up, time to make music with beats!